When Eddie Howe announced his retirement from football at the age of 29, he wasn’t certain what fate had in store for him. Forced to hang up his boots having failed to sufficiently recover from a dislocated kneecap that had plagued his latter years in the game and, with a heavy heart, he said goodbye to his Bournemouth playing career. They say goodbyes don’t necessarily last forever – Howe’s barely lasted at all. Howe had been appointed player-coach by Cherries boss Kevin Bond in December 2006. His premature retirement was, in a perverse way, one of the greatest things that happened to him, for it allowed him to delve with a headstart into the world of football management. That’s what management is: it’s a world strangely alien to playing football, although they seem inextricably bound. Both professions carry with them an immense sense of pressure, and both require extraordinary levels of aptitude and application to excel, but they are two wildly different beasts. Howe was decent footballer, by his own admission, but he’s proving to be a remarkable manager. Some men were born to follow, some were born to lead. Judging by his managerial journey thus far, Howe slots perfectly into the latter category. As a player, Howe did not have the access to first-class medical advice his current squad at Dean Court enjoy, and his career suffered because of it. By the time he travelled to America to visit Dr Richard Steadman, the man responsible for prolonging the careers of Ronaldo and Alan Shearer, it was too late. Howe had already been misdiagnosed and Steadman told him that he would never be same again. His athleticism had waned, his strength drained. The significant re-working of his knee had left his primary attribute blunted: he could no longer jump high into the air to win headers. As a centre-half in England under six feet tall, jumping was essential to his game. When that ability was crushed, so too were Howe’s hopes of a successful playing career. As such, Howe spent plenty of his career on the bench, due to a lack of fitness more than anything else. It was during the later stages, though, that he began to develop a vision of himself standing in front of the bench, as opposed to slouched on it. When Jimmy Quinn was sacked as Bournemouth manager in January 2009, Howe was handed the chance to prove himself at a club teetering on the brink of collapse. When the fresh-faced Howe was appointed Cherries boss, he wore that famously cheeky grin, and had a brain chock-full of ideas to accompany that smile. What greeted him, though, was no smile. Rather, he looked up to see the mountainous challenge facing him, with the grim clouds of Bournemouth’s financial situation adding further adversity to the climate. Such is the cut-throat, merciless world of football management, prognostications of his swift demise were certainly understandable, but soon to be proven wide of the mark. After being appointed on a permanent basis, Howe steered a seemingly doomed Bournemouth to safety in League Two. 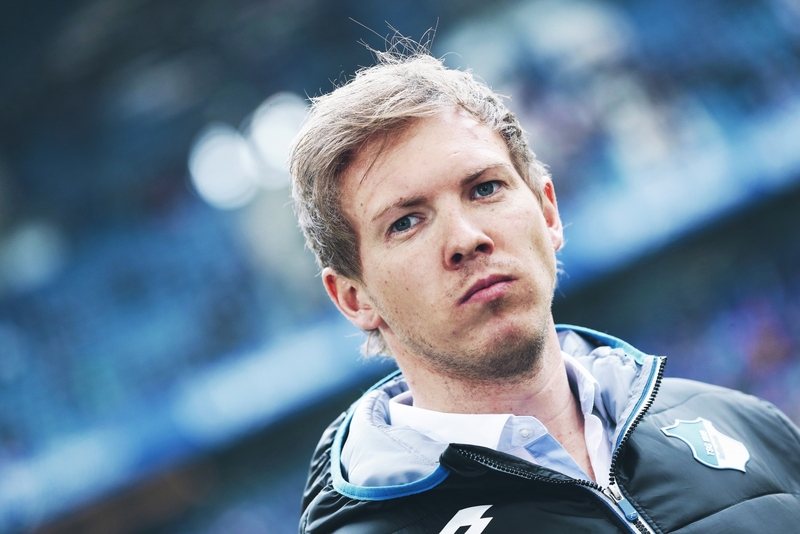 Focusing on footballing – not financial – matters proved to be the key for him. 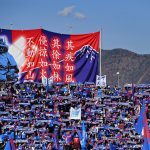 Howe’s appointment lifted the overall mood at the club and the increasingly frequent collection of three points on a Saturday afternoon helped smack a smile on the face of supporters, too. The following season saw Howe oversee the club’s promotion back to League One, guiding them to a second-place finish and, while Bournemouth fans anointed Howe as their great liberator from lower-echelon doom, they were acutely aware of that old footballing axiom: when a club rises, so too does the manager’s stock. Howe had already rejected several offers from clubs by the time Burnley came calling in January 2011, but he found the Clarets’ advance irresistible. Howe and Jason Tindall, his trusted lieutenant at Bournemouth, made the switch to Turf Moor on a wave of optimism having already transformed the landscape at the south coast club. Unfortunately, his 21 months in Lancashire didn’t prove to be quite the exhilarating, progressive journey he had planned. The sudden death of Howe’s mother, Anne, understandably prompted him to leave Burnley and return to Bournemouth, The pain of losing his mother was inexpressible, even for someone as articulate as Howe, but it also ultimately drove him to succeed in football management. Howe was lucky to have had a loving mother who regularly offered sound advice throughout his life and this maternal bond instilled in him a focus and desire to succeed that isn’t easily found elsewhere. It has provided a foundation from which Howe has worked tirelessly to get to the point where he is now – regularly included in discussions of future England managers. That’s how much of an impression he has made. Football is a chaotic, money-driven industry and such an environment sadly often lends itself to turbulent working conditions. However, it is to Bournemouth’s credit that Howe has been allowed to build, progress and develop his philosophy from the football league’s lower-reaches. Set against the backdrop of an unrelenting managerial carousel, Howe has endured, and he has excelled. By the time Howe took Bournemouth up to the Premier League, he had already garnered a reputation for being one of the most popular, stylish managers in English football. This young pretender strolled into a league containing battle-hardened veterans like Arsène Wenger and Louis van Gaal armed with a brand of football that earned as much plaudits and recognition as his vastly-experienced contemporaries. 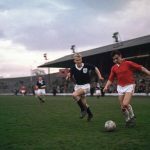 And it is perhaps this facet of Howe that has earned him a label as a young mastermind: his vision of how football should be played and how he has altered and adapted his mantra to remain a fixture in the Premier League. What catapulted Howe into the England managerial palaver, though, was passing his first top-flight acid test. Howe has learned, primarily from the teachings of legendary American college basketball coach John Wooden, that success is a peace of mind that is achieved through self-satisfaction. Howe told himself that both peace and satisfaction could be achieved by simply staying in the Premier League at his first crack. He succeeded by playing his style of football, thus capturing that desired peace of mind. Season by season, Howe has fashioned a brand of football at Bournemouth that is both attractive and effective and proving that he can keep its impact in the top-flight has worked wonders for his reputation, especially when you consider the wreckage of Steve McClaren and Alan Pardew’s Premier League careers. Howe’s Bournemouth became synonymous with an attack-minded, devil-may-care approach that is often no more than a dangerously romantic idea for newly-promoted clubs. However, where Blackpool once crumbled, Bournemouth endured. That’s not to say they serenely sailed through their maiden Premier League voyage. Far from it, in fact. Glimpses of the exciting Bournemouth could be seen with their 4-3 win over West Ham, while flashes of the wild, self-destructive Bournemouth were on display in successive 5-1 defeats to Manchester City and Tottenham Hotspur. Spankings by Premier League heavyweights are enough to plunge a young manager’s confidence into darkness, but Howe is too strong, too enthusiastic, too dedicated for such a fall. City and Spurs laying bare Bournemouth’s multitudinous defensive fragilities were the nadir of an eight-game winless sequence for the Cherries, who were beginning to look bruised, not bountiful. With such a run came calls for Howe to change his system, to finally acquiesce to the immense rigours of the top-flight. Admirably, Howe persisted with the brand of football that had brought him promotions and plaudits, and it worked. The turning point came at Stamford Bridge. Howe masterminded a 1-0 win over Chelsea and piled misery onto José Mourinho, who would be jobless 12 days later. After three months without a league victory, Howe was toasting arguably the greatest result in the club’s history – and doing so without key players like Callum Wilson, Tyrone Mings, Tommy Elphick and Max Gradel. Missing individuals can be overcome by a cohesive team effort, and that’s what Howe got out of his players following that win over Chelsea. The Cherries consistently covered more ground than any other team in the league, but they did so effectively. Partially influenced by Pep Guardiola, Howe taught his players the benefits of winning the ball high up the pitch, helped by pushing the full-backs, while he taught his defenders to use the ball thoughtfully (Simon Francis, Steve Cook and Adam Smith were among the most effective defenders with the ball during the campaign). Once they got a taste for it, Bournemouth went on to beat Manchester United and recorded eight more victories to eventually finish 16th. It was hardly the stuff of dreams, like Leicester’s charge to glory, but Bournemouth’s introduction into the big time had revealed enough about their manager for others to sit up and take notice. Howe’s teams concede goals, but they also attack with verve and swagger, and that goes a long way for an English manager in a climate when the national team has seemingly lost its identity. 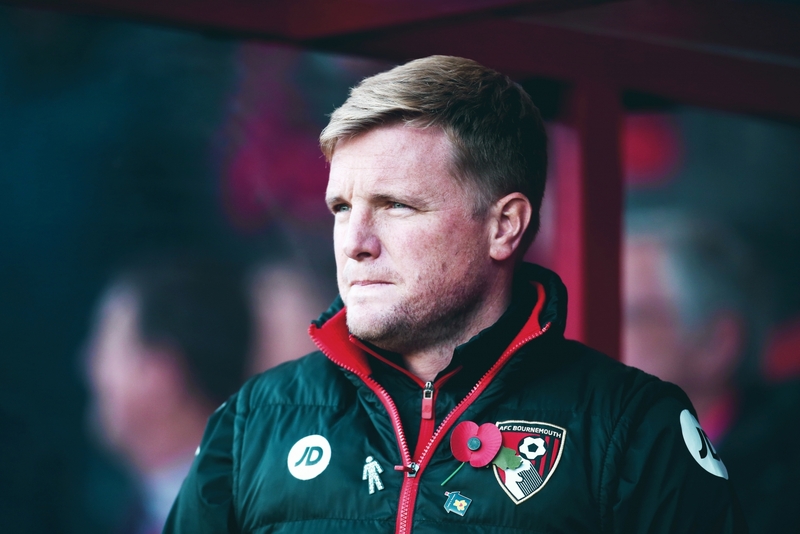 Bournemouth have faced no such existential crisis; Howe has established them as a top-flight entity strong enough to dismantle the most expensively-assembled units and even fight-back when all hope seems lost. Howe’s in-game decision-making is also to be commended. When Bournemouth were 2-0 down to Liverpool in December, Howe summoned Ryan Fraser from the bench. Refusing to accept defeat, he put his arm around the winger and whispered some choice words of encouragement and direction in his ear. It wasn’t difficult for Fraser to hear his manager, of course, as Jürgen Klopp’s squadron of attack-happy pranksters had effectively silenced the Vitality Stadium. However, within two minutes of coming on, the Scot had won his team a penalty, drawing a cloddish challenge from James Milner. Callum Wilson converted and, although Emre Can responded for Liverpool, Fraser’s introduction had been the catalyst Howe envisaged. The 22-year-old duly proceeded to score his side’s second before laying on Steve Cook for the equaliser, proving to be the chief architect in Liverpool’s spectacular unravelling. The back pages dedicated column inches to Fraser’s explosive extended cameo, but Howe deserved credit for identifying Liverpool’s imbalance and bringing on both Fraser and Benik Afobe, a striker, to force the opponent’s implosion at the back. Those sorts of decisions, made in the heat of battle, are striking. The ability to analyse patterns in games and concoct solutions that shape the outcome is a quality Howe possesses in abundance. Howe is now renowned for possessing an exacting mind. Arriving at the training ground at the crack of dawn every morning has become routine, devising routines and planning every last detail while his players sleep soundly in their cots to ensure every chance of success. Add to that the confidence in his own contingencies, and Howe possesses an impressive managerial toolkit. The question now is of the future, not the present. Howe has achieved a great deal in a short space of time and his current trajectory means a bigger job is inevitable. 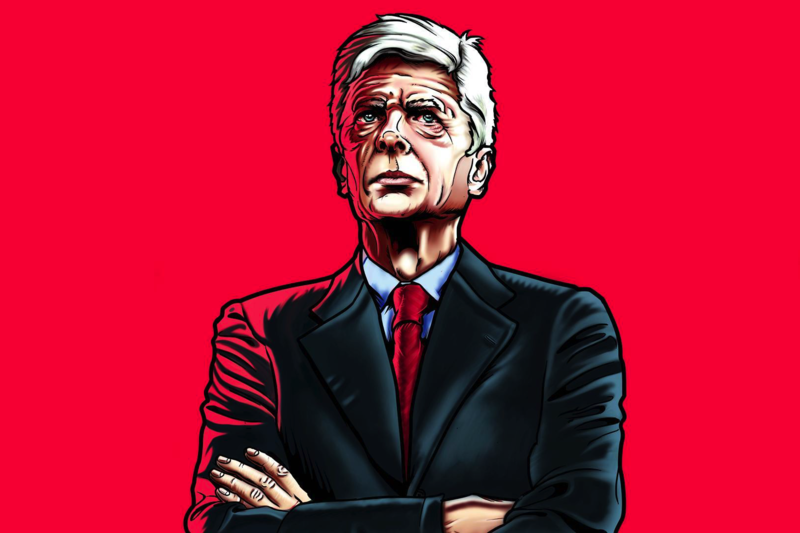 He has been touted as a natural stylistic successor to Wenger at Arsenal, which seems an ideal role for him to further hone his skills before being thrown into the furnace of managing England. They are daunting prospects for any manager, and let’s not forget that Howe is still the right side of 40, but with tactical nous, a dexterous approach to transfers, man-management skills and, above all else, an unwavering confidence in his own ability, it’s entirely feasible to see Howe ending up at either Arsenal or England, or somewhere as lucrative. While he’s not new on the scene, Howe is still in the developmental phase of his managerial career, but he ticks all the boxes that will, perhaps, one day elevate him to become one of the best managers in European football.